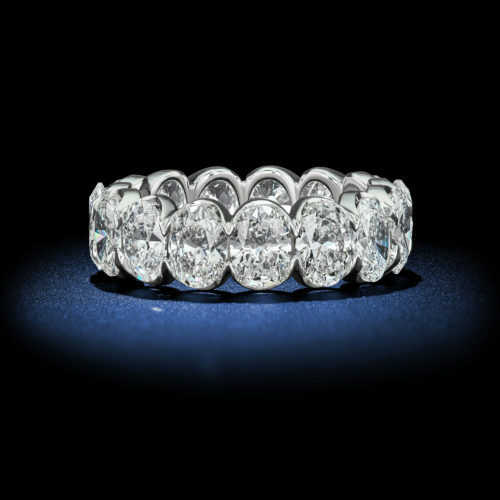 9.83 Carat D VS1 Perfectly Matched Round Brilliant Eternity Band - Rosenberg Diamonds & Co. 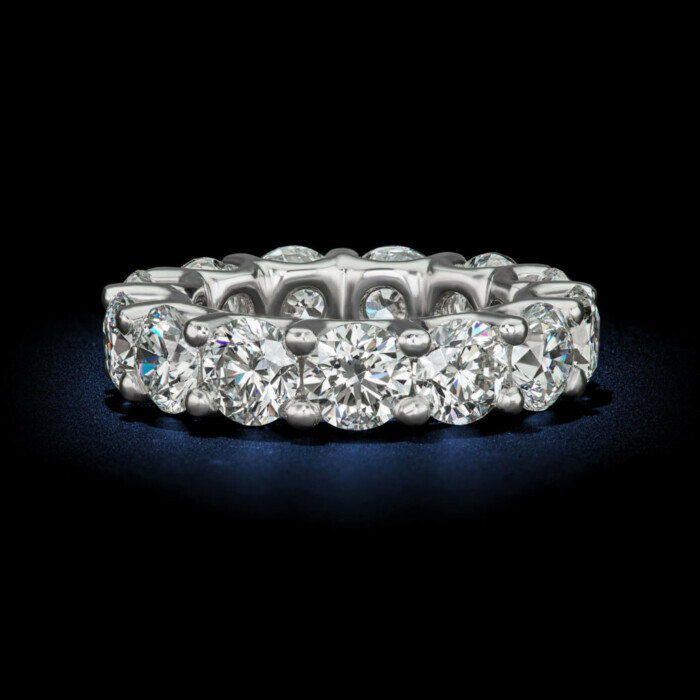 This beautifully crafted wedding band marry’s over 9 carats of perfectly matched and D colorless round brilliant diamonds together in perfect harmony. An eternity design allows each glistening diamond to throw a bright fiery richness in a setting of delicate 18kt white gold. 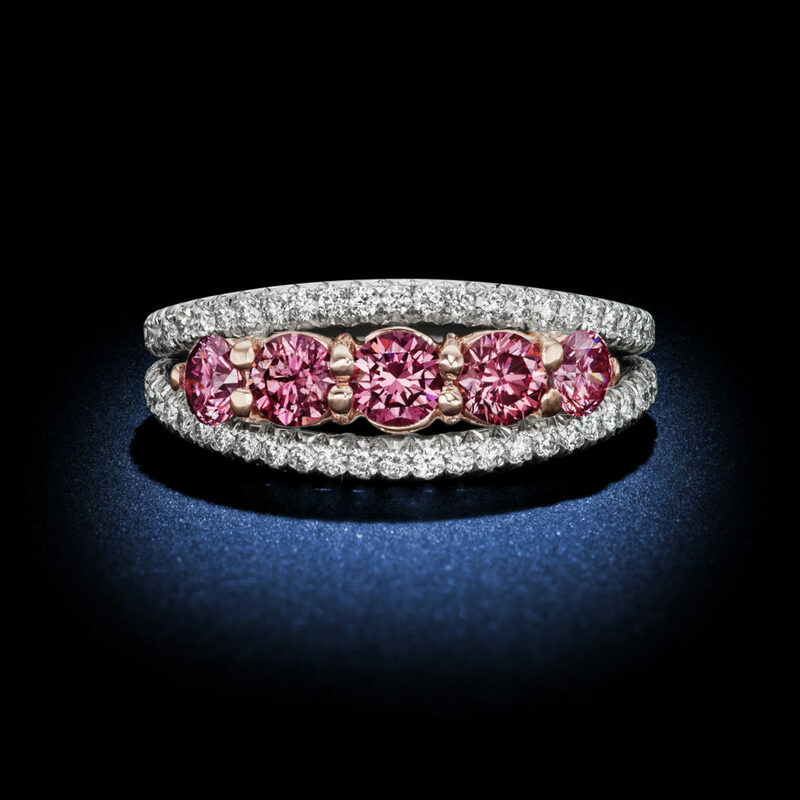 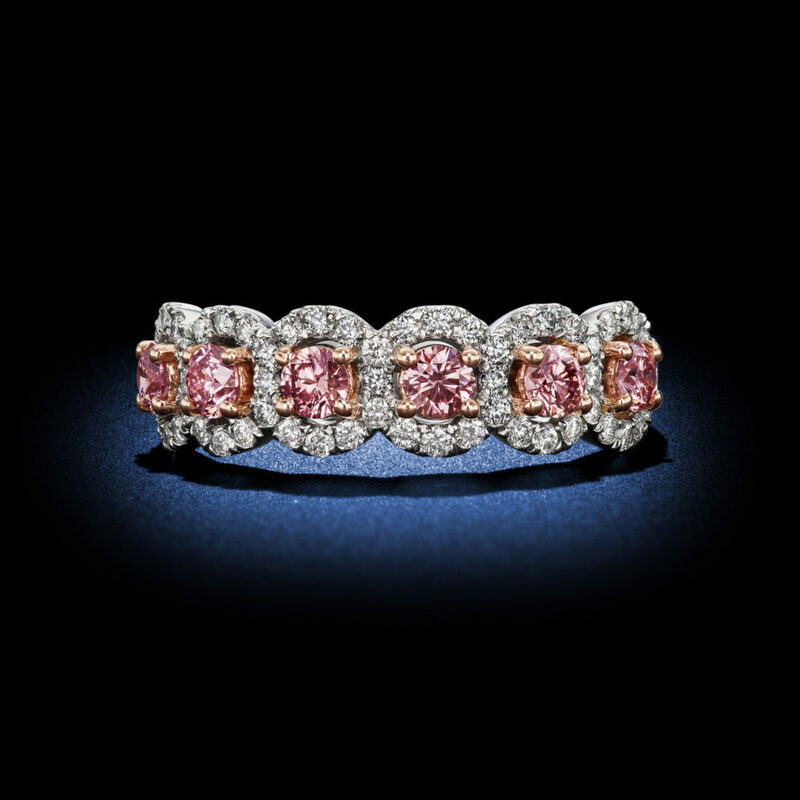 A beautiful facet of 6 round Pink Argyle diamonds show the famous color only found in the rugged but beautiful Australian landscape. 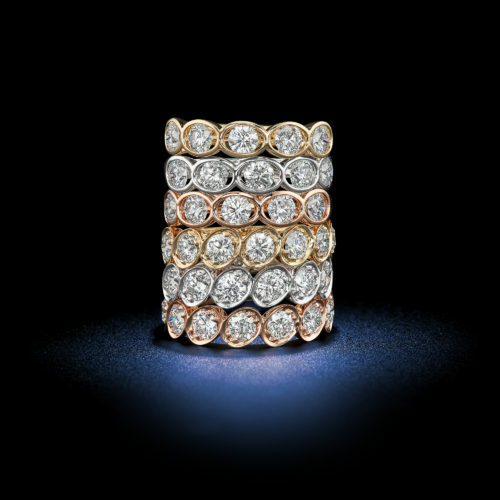 57 White round diamond accents travel between these beautiful stones for a truly remarkable design brought to life in platinum and 18kt gold.